After a delicious meal in the countryside of the South of France, an herbal tisane or “tea” service is prepared tableside. 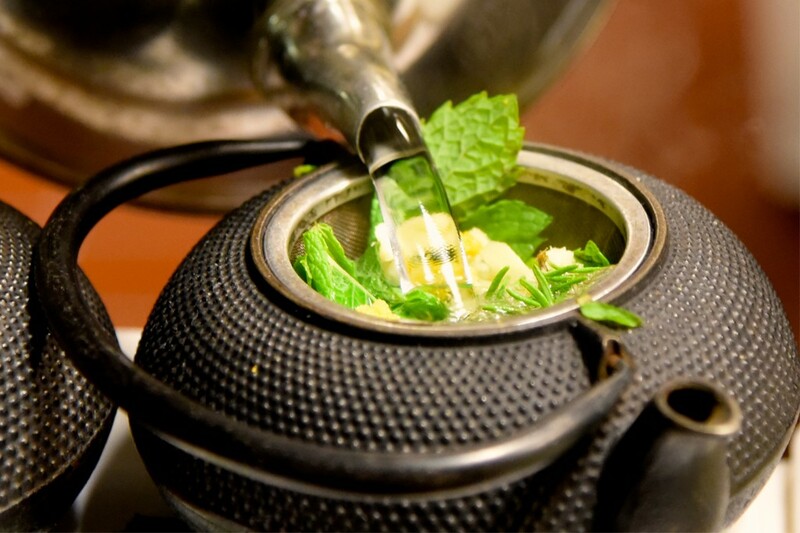 Fresh mint, basil, and lemongrass are gracefully snipped with scissors by a gentleman wearing white gloves then steeped in boiling hot water. Each sip of the herbal tisane is fresh and bright making for a beautiful end to the evening. This was the experience of owners Nancy Zimmer and Randall Selland had while spending time at a Provence inn. An herbal tisane is a beverage made from an infusion of herbs, spices, and other botanicals in hot water that does not contain caffeine. Very similar to tea, although a tisane does not contain tea leaves. Many of the herbs are soothing and have digestive benefits and helpful at the end of an extravagant meal. 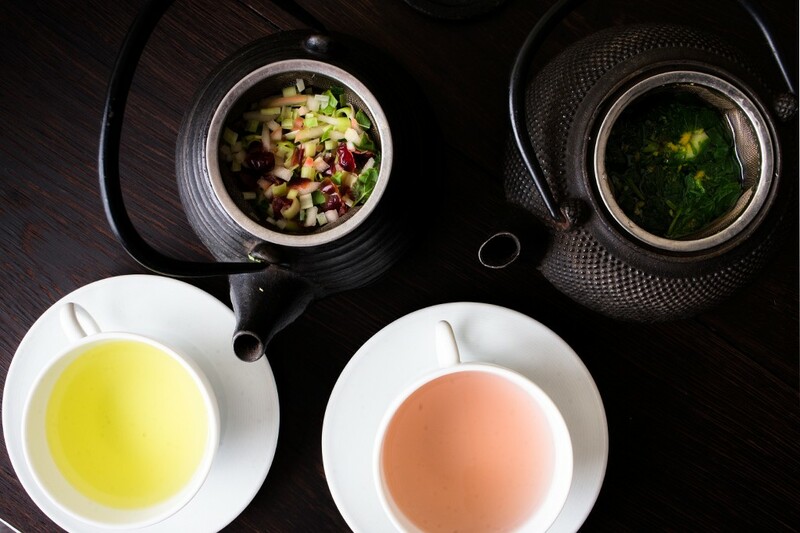 Guests at The Kitchen may choose from a custom blend with their choice of ingredients, or opt for a blend on our herbal tisane menu listed below. Fresh locally grown herbs, spices, and botanicals are cut, muddled, peeled, or pressed then placed into teapots with hot water. Each teapot of the herbal infusion is served to guests tableside and the purity of the tisanes can be enjoyed with each sip. This is a wonderfully unique way to conclude an evening spent together.